Having a disability as a child is not always an easy thing, but one dad is going above and beyond to make his daughter feel comfortable in her own skin. 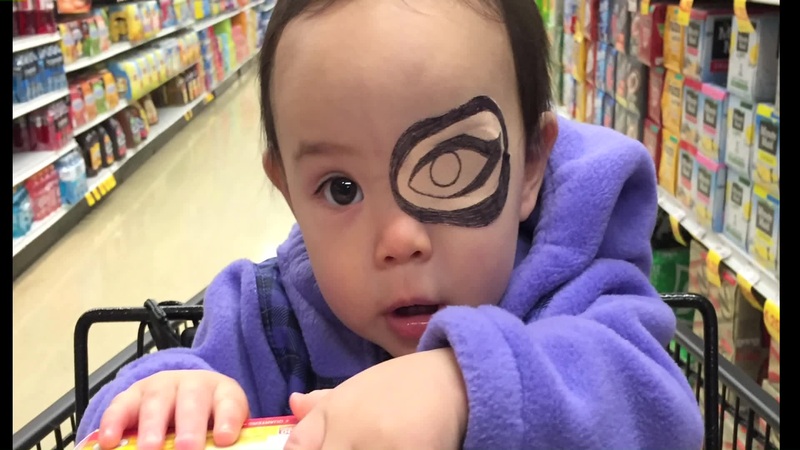 Layla, an adorable 3-year-old who was born with a cataract in her right eye, has to wear an eye patch for two hours a day to help improve her vision. And when her father, Geof Grubb, found out about her treatment plan he decided to "make the best of it," according to a Reddit post from last year. Every day Grubb draws an epic design on Layla's patches before placing it over her eye. Grubb, who is actually a chemical engineer turned stay-at-home dad, is not a professional artist, but his creative designs are super cute. There was the Oscar trophy patch that was definitely worthy of a nod from the Academy. And to celebrate Back to the Future Day Layla was adorned with her very own DeLorean. And the Tigger patch with the matching outfit that just screamed cuteness overload! No doubt about it, Layla will have one of the best baby books to look back on filled with precious unforgettable memories. So kudos to Grubb for being one of the best dads in the world!